As part of my study of other religions and what each has to offer concerning an expanded spirituality, I recently finished reading the Qur’an. There are many books about the Qur’an and some seek to distill it down or interpret it for the reader. I wanted to read the full text myself and form my own impressions about its meaning and significance. The following discussion reflects my personal understanding of the main thrust of the Qur’an through the eyes of a non-Muslim. I think reading the original and forming one’s own opinions about it is especially important in today’s environment of fear and distrust of Muslims stemming from the horrific actions of so-called Islamic extremists. This is in many ways a misnomer because the actions of these extremists are neither called for nor condoned by the Qur’an. Therefore, their self-described devotion to Islam is belied by their actions. So what are the main teachings of the Qur’an as seen through the eyes of this non-Muslim? First, it is made clear that the Qur’an was sent to reaffirm the earlier teachings of the Torah and New Testament concerning how to live a spiritual life. The Qur’an places Muslims among the descendents of Abraham and frequently cites stories from the Old Testament about Abraham, Noah, and others to illustrate points of teaching. I found the Qur’an to be very repetitive with regard to its main messages. In my view, the primary message is that there is only one God who made heaven and earth, who is all-knowing, all powerful, merciful, and has dominion over all things. Other recurring precepts are that there will be a resurrection of souls, and a final Day of Judgement. Those who lived a life of goodness will receive rewards in the hereafter, and those who refused to believe the above will find nothing but torment in the fires of hell. The foregoing doctrines are found in virtually every sura of the Qur’an. The Qur’an describes itself as good news for the believers, and a strong warning for the disbelievers. It makes it clear that it is not our place to punish the disbelievers; that is God’s right alone. Further, the reference to disbelievers does not refer to non-Muslims; it refers to all who do not believe in the one true God, resurrection, and the Day of Judgement. The Qur’an originated at a time in history when much of the Arabic population followed polytheist beliefs. From the point of view of a Muslim, what I have derived from the Qur’an may be seen as an over simplification. I hope nothing I have said will be in any way be offensive to anyone. It is just one man’s condensed view of a religion rich in tradition and devotion. 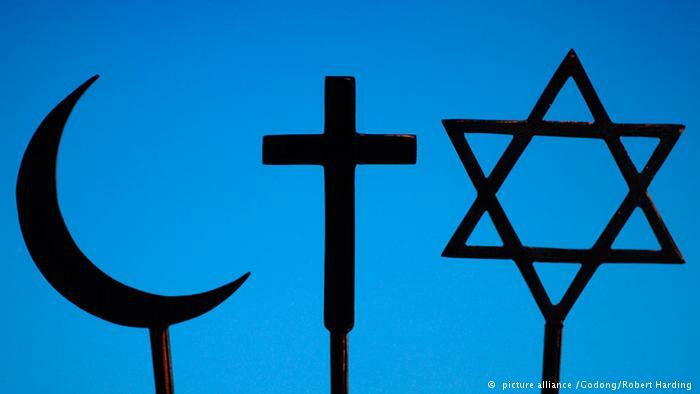 Muslims, Christians, and Jews share common roots and in fact have a spiritual kinship. I think the main teachings of Islam shared by these religions of Abrahamic origin, will always remain salient, timeless, and universal. I do not believe that there is only one true/correct religion; rather, I believe there is only one true God who wishes to guide us all to the path of goodness, virtue, and everlasting life. Haleem, M.A.S. Abdel., trans., The Qur’an. Oxford: Oxford University Press, 2010. First published 2004. This entry was posted in Reader Favorites, Religion, Spirituality and tagged Comparative religion, Day of Judgement, Religion, self help, self improvement, spiritual kinship, Spirituality, the Koran, the Qur’an. ← Genetically Modified Food Crops: A Clear and Present Danger?